Is Your Business Off to a Great Start in 2014? Is your network marketing business off to a great start in 2014? It’s two plus weeks into the New Year. I hope your holiday season was wonderful, warm and filled with love and family. If you are like me, the last two weeks have felt good to get back to “normal” life, too. And I bet you have lots of great goals for being successful in mlm and ideas for how this year is going to be different and better. Me too! I love the beginnings of a new year and for lots of reasons, I am especially looking forward to 2014! I think it is because we have spent the last 18 months building the foundation for my new multi-level marketing business with Jeunesse and it is really starting to come together. I am excited to see where we will be one year from now. One thing I have noticed is that we have great plans and goals in January and we start the year with the best of intentions and typically by mid- February we are off the rails. Sound familiar? How can we make this year the best we have ever had? It has everything to do with our commitments and our obligation to follow through. We show up for so many things but we don’t always show up for ourselves! Here are a couple of things I am committing to in 2014. I have stepped up my commitments to my Jeunesse business and as an entrepreneur. My team and I started a 90 day blitz for the first quarter of the year. That means we are stretching and pushing to do more each day, each week and each month than we did last quarter! We can do anything for 90 days! This works and is necessary to be successful in network marketing. I am so excited about where we will be one year from now. I have stepped up my commitments to my health. I am going to eat more fruits and vegetables and less sugar. (would someone help me throw out the leftover Christmas chocolates?) I am going to exercise first thing in the morning because all too often it doesn’t happen later in the day. And I am going to get myself to sleep by midnight. The last 3 out of 4 nights I have succeeded. (I am a night owl – I love to work in the middle of the night but I know it isn’t good for me. Not sleeping when we should be is aging to our bodies…which is the opposite effect of what Jeunesse products are trying to achieve). Why do we fall off the rails of our New Year Goals? Most of us have a very hard time with discipline and consistency. We want to be our own boss and to be successful working for ourselves. I think most of us think discipline isn’t a nice word. I had to rethink what I thought discipline meant and when I did, it changed everything. Discipline and being consistent is key to success in everything. Whether it is losing weight, creating a great relationship, building your networking business or investing – being disciplined and focused is what makes it all happen. Every day we have the chance to start anew, to start over, to start again. Give yourself a break on the days where you fall short and keep going. Most of us fall off the rails because we give up. One thing that works for me is to write down my goals for the year and the steps I am going to take to make those goals happen. And then I print that page out and I revisit it each week. That keeps me focused and on track. When I am feeling out of sorts, I change my physical state. We can change our emotions and our sense of well-being very quickly. It is just a choice. Getting up and moving around, going for a walk, lifting weights for 5 minutes will move you to a more positive and productive mindset very quickly. Then you will be in a better frame of mind to tackle that phone call or to set up that appointment. Every day do the important activities to move your business forward. At the end of the day, feel great about what you did get done. Our to do lists are a mile long (at least mine is) and we will never get it all done. I had to train myself to appreciate and feel good about what I got done and not focus on what I didn’t get done! It makes a huge difference, especially if you are in the habit of falling asleep at night fretting about what you didn’t get done. Guess what you will dream about? It is so much more rewarding to feel good at the end of each day! Every year, I “close” the ending of a year. I love to go through the past year and savor what happened before I really dive into the New Year. At the beginning of each year, I also always choose one word or a phrase that will sum up the new year. In 2013 it was appreciate and laughter. This year the phrase for the year is PULL OUT ALL THE STOPS. I am really going for it this year. I heard this quote the other day: Be grateful for where you are and where you are no longer. I encourage you to be thankful for what you have accomplished. 2013 was a big year for me. Here are some highlights. Mark and I celebrated our first year of marriage. I celebrated my one year anniversary with my new company – Jeunesse. I created the foundation in my new business for a great and long term success. I feel honored to get to work with the leaders on our team – blessed to have them in my life. My team and I created a duplicatable system for our team to run with. We celebrated Christmas for the first time with our 3 kids. I participated in several life changing mastermind events. I hired marketing mentors to help me achieve my dreams. Everyone needs coaching. I presented at our Jeunesse Las Vegas Convention in front of thousands of people – so much fun and feels like home! I traveled to Maui, Las Vegas, Napa, Mendocino, Orlando, New York City, Bangkok, Vancouver Island and Vancouver. Plans are already in the works for Palm Springs, Vancouver, Seattle, and Italy. Make your network marketing business a success in 2014! I am thrilled with the results of 2013 and believe me, when I say that I believe 2014 will be the best year yet. When we focus on what we want and pull out all the stops, it is amazing what we can accomplish. You can change your life. We all can. We all can create more than we can imagine. There has never been a better time to be in the networking business. And the internet and social media make it 1000 times easier to build a global business than even 5 years ago. What are you waiting for? No one else is going to take care of your retirement or send those kids to college. We are the ones we have been waiting for. Let’s go get it done! 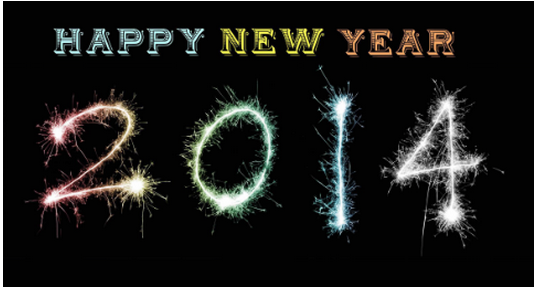 I wish you a fabulous 2014! What are your goals for 2014? Comment below if you’re committed to pulling out all the stops in 2014!